A D.C. Public Library branch was briefly closed upon the discovery of some uninvited guests: snakes. 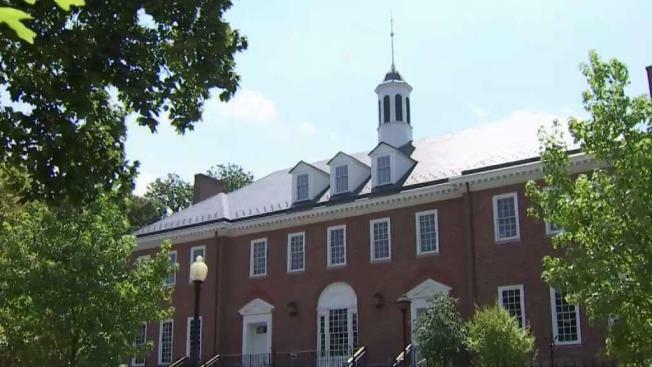 The Georgetown Library closed Saturday after staff noticed snakes near a meeting room, The Washington Post reports. Another snake was found earlier that day and released outside. The library called pest control and closed until the building was given the all-clear, reopening Tuesday. Spokesman George Williams says the pest company found a single dead snake during the library's treatment. The library staff suspects four snakes were in the building. Library workers say the snakes were garter snakes. It's not clear how the snakes got into the building, but weeks of rain have left the D.C. area drenched, driving up snake sightings in the region. NBC4 photographer Jay Alvey recently found what he believed was a black rat snake in his D.C. area home. "Wondered why the cat kept going under the table in the living room for the past few days. I know now," Alvey wrote on Twitter. In the picture, a black snake can be seen coiled behind a floor lamp. According to the D.C. Public Library's website, the library will have another gathering of snakes Wednesday, but these ones are invited. Reptiles Alive is providing the snakes for an animal show.